Any '15 owners with hood paint bubbling yet? 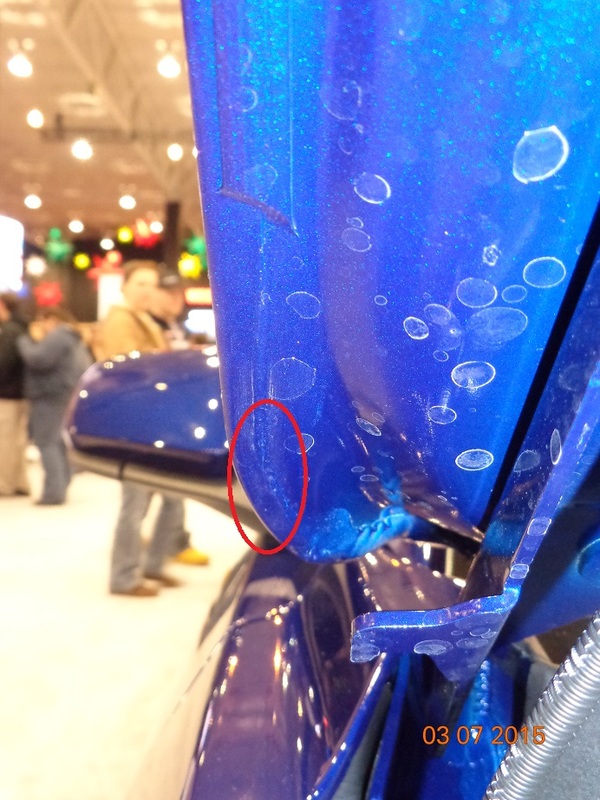 As they've been out a little while, just wondered if anyone had one in for paint warranty yet... only saw one minor spot of bubbling on one at the auto show this year (much better than the ones displayed in 13 and 14) and it wasnt at the front lip, but back near the hinge. only saw one little bubble on a fender, it was on the flange down under the hood, hard to say if it woulda ever crept upwards to the top or not... just curious if ford has gotten a handle on this issue yet. Last edited by ford4v429; 6/14/15 at 06:25 PM. Now in my 7th month of ownership - there is no blistering like the hoods on the S197s. The car has been through winter and washed numerous times. Got mine January 16th and drove it through the worst winter in Boston history (almost 9k miles now) and have absolutely no issues with the paint. No chips, no blisters or no thin spots. cautiously optimistic... great to hear- please keep a close eye on the undersides of the hem all the way around, historically that where its always started. glad to see they finally are both using seam sealer, and applying it better than in 13/14... had auto show pics of hoods where the sealer missed the seam, and did nothing. Not to sound negative but its probably to early to tell. My 14GT was built 3/2013 and it just started with the paint bubbling on the underside front edge of hood. That's 2 years after being built. I have little faith in ford that they have fixed the problem. Last edited by imeyers302; 6/17/15 at 08:36 AM. Car had like 10k on the OD. I know the bulk of them start showing up tob around 3-3.5 yrs, some sooner/some later- but, on both 2013 and 2014 auto show new cars, some had it already. hoping to keep folks on their toes about it, and get as many as possible to get warranty- far, far too many missed warranty by months or miles, because they never looked closely underneath, and didnt notice till it wrapped to the pretty side- even though obviously it had been eating at the underside for months or years... hoping as many as possible get fixed- ford deserves every penny they gotta throw at this stupid issue. Unless they let me use the body shop that I choose I will probably not go through ford. I am to obsessive about my car to leave it at a dealer for a week to let them fix it. Would just go with a trufiber stalker hood and call it a day. You garage kept yours and out of rain, correct? Perhaps that had something to do with the amount of time before you saw an effect. On my 2010, I had it within 5 months. Mine was a daily driver and used in all weather conditions. Yes, it's a possibility it could happen again, but so far, nothing to report here. I just checked again today because I was out washing the car. My car will be three years old on April 27, 2018 and my 2015 GT Premium has a small spot of bubbling paint on the front edge of the hood. I'm going to take it to the dealership and see what they have to say. I have a paint protection package which I purchased when I bought the car, so maybe I'll get lucky and it will get fixed for no charge. I was very upset and disappointed when I saw the raised area on the edge of the hood since my car is just three years old. I special ordered my Mustang with everything that I wanted on it and now THIS is happening! Come on, Ford, I thought you were better than that. I've owned the '96, '99 and '01 Mustangs and never had bubbling paint at the hood. Come on, Ford, I thought you were better than that. I've owned the '96, '99 and '01 Mustangs and never had bubbling paint at the hood. I believe you are aware this is a different hood material (composite vs aluminum) between those model years and the '05 onward. I have an '09 Bullitt, which has a noticeable case of the bubbling problem. Paint is flaking off where it's happening. I re-checked my '15 (now 3 1/2 years old), and the only thing I see is are four spots what looks like the start of it near the seam area. These are much smaller and the paint surface is still very solid. On the '09 Bullitt, where of course it's older, it's more noticeable, the spots are larger, and I am losing paint. At this point, it's not enough for me to consider it visually unappealing on my '15, but I will continue to monitor it. I suspect this is the nature of the game when using aluminum for the hood and the hood is constructed. 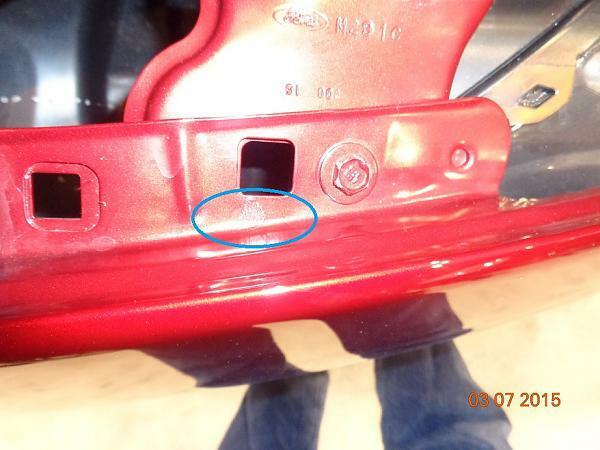 I don't notice any of this issue on the front fenders of the '15. Thanks for the response, Tony. I only became aware of the different hood material after doing a little more research on the Internet last night. It's terrible that both your Bullitt and GT have this issue. I need to look under the hood to see if there are any signs of this bubbling as I only saw it on the top edge. The paint surface on mine is still solid, but it's just matter of time before it starts to crack. I have an appt. with the dealer on Wed. so they can take pics and submit them to Ford, then I'll see what they are going to do for me. Whenever I can figure out how to upload pics, I will do so. Also, I see that you have the same color GT as I do. There was a change in the manufacturing processes and materials for the S550 model, so what happened on my '09 Bullitt (and also my '07 and '10 GTs I previously owned) looks worse. Good luck with your Ford appointment. Boy. I hope they figured out the bubbling issue. My '06 started doing it. Then I had to have the hood repainted due to an @sshole keying the entire car. I hoped after that, it would have been fixed, but it came back again. About a month before getting my '17, I spotted what looked to be a '13 Boss that had that same bubbling. Couldn't believe that they hadn't figured it out in 7+ years. I have the same problem with my 05. It's utterly ridiculous that after 14 years Ford is still having the same paint issues. Well, I have found three spots along the front edge of my hood that is bubbling under the paint. My buddy tells me there was a class action lawsuit and the agreement was that Ford will repair it for anyone who is the original owner. I suppose we will see. Radio keeps switching over to AM station. Quick Reply: Any '15 owners with hood paint bubbling yet?